I don’t think I’ve ever met someone who didn’t love Amazon … or order from them on a regular basis. I am pretty sure 90% of my friends and family are amazon prime members and the $100 annual amazon prime fee is probably the best money I spend each year. Not only do you get free 2-day shipping, but you get to stream unlimited movies, TV shows and music, you also can borrow books from the kindle owners library. I wanted to round up my favorite Amazon-exclusive products (below), with a little write up on each. These are products I use regularly and absolutely love! I will also talk about some of them on my IG feed/stories if I haven’t done so already. Click on the product image to be brought directly to its amazon page! Kaitlyn Pan Studded Shoes – I wear these shoes ALL THE TIME (probably way more than I should). 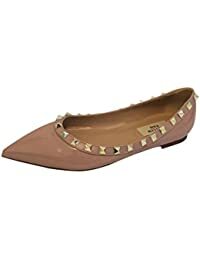 They are super comfortable and even though they are a bit pricey, they are a fraction of the price of the real Valentino ones 🙂 They do run a little bit small, so order a 1/2 size up! I am an 8 and the 8.5 fit perfectly. 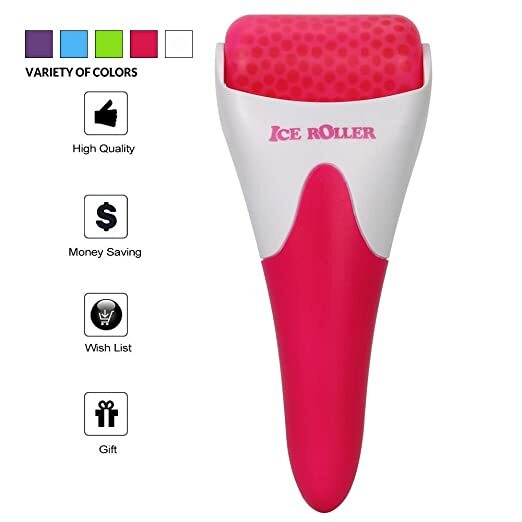 Ice Roller – Ever eat a bunch of Chinese food and wake up the next morning feeling super puffy from all the salt intake? This nifty little gadget will help reduce that puffiness, plus it feels wonder to roll against your face and eyes and give you a little wake up! 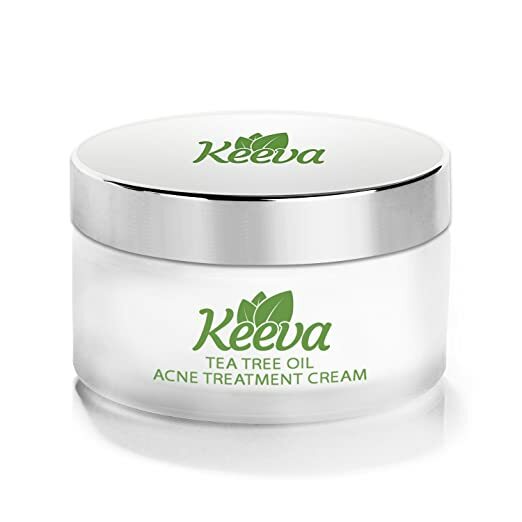 Acne Tea Tree Oil Cream – I’ve tried so many different acne spot treatments and this one is the best by far! The jar is pretty big so it lasts a long time. Blue Light Filter Glasses – I don’t need glasses for seeing (anymore! – I had lasik done 3 years ago), but sometimes looking at a computer and phone all day really bother my eyes .. plus, sometimes a cute pair of frames really pull an outfit together 🙂 I have owned a few pair of fake glasses in the past and some actually bother m eyes. 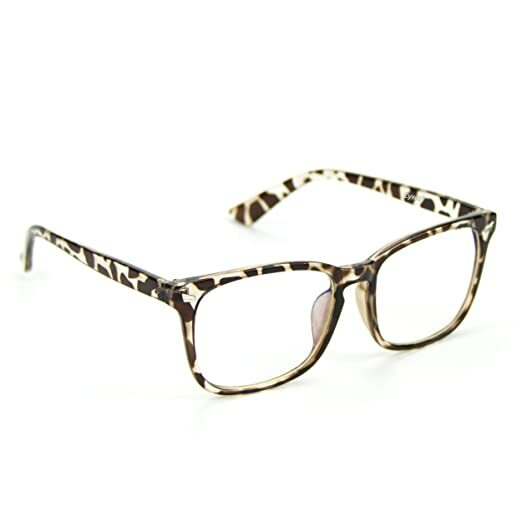 These do not bother them at all, and have found to ease the intensity of computer and phone light while using them. Selfie Stick with Tri-pod! Do I even need to explain? This selfie stick turns into a mini tri-pod with a blue tooth remote control. EVERY BLOOGERS DREAM! 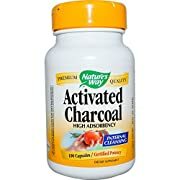 Activated Charcoal – If I ever have an upset stomach, or ate something that didn’t agree with me, I take one of these pills and I usually always feel better. The activated charcoal gathers everything unwanted in your GI track and safely moves it out! 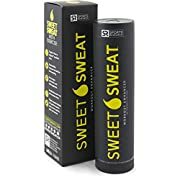 Sweat Stick – I put this on my thighs before I work out. I haven’t been using it long enough to determine if it is aiding in fat loss BUT, it does make me sweat more in those areas. 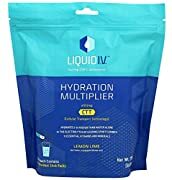 Liquid IV – Hungover? This is your cure!! I never travel without these. They are individual powder packs that you can add to water. They are packed with electrolytes and always make my head feel better after a long night out. Travel Pro Carry On – I travel a lot for work and never check a bag. I have gone through a few carry ons over the past few years and this one is by far the BEST! I did a test and put everything I was packing into my old carry on and then into this one, well my old carry on was stuffed and this one still had extra room. Need I say more? Hope you enjoyed this round up of my must have amazon products! Leave a comment with your favorite amazon product! There are some great products in this post! Especially loving that travel bag! Looks like the perfect size! Thanks for sharing your favorites! It’s crazy how much amazon has changed the landscape of online shopping… and I seriously want those flats! Thanks for the great ideas! I am also known as an “Amazon Queen”. Great pics of all your outfits. This is such a good post! I need probably everything here… hah!